For some the path from a trial flight to the acquisition of a Private Pilots Licence is one that takes only a few months to complete, but for me it was to last a little longer. My first taste of flying was as a child in the 1960s. 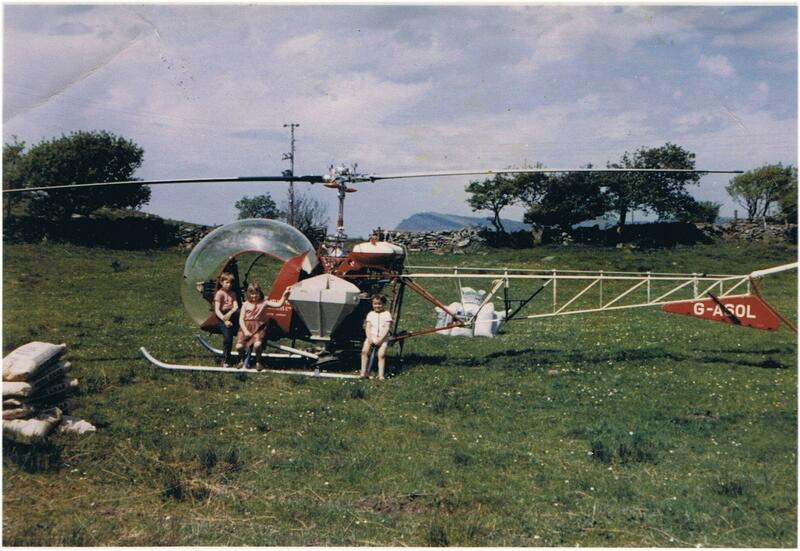 My father had hired a helicopter to spray fertiliser onto a small crop of conifers planted on some of his land in Wales. Once the job was done the pilot agreed to give we three children a ride in his Bell 47-D (G-ASOL). I don’t remember much about it, but it must have planted a seed. It seems it wasn’t just the trees that benefited from a little boost that day. However, it would be nearly two decades later before the seed bore fruit. I left school at 16 with only a few qualifications and spent several years in and out of dead-end jobs so I was restless for a challenge. I needed to set and achieve a goal, go on an adventure of sorts and spread my wings. Learning to fly fitted the bill in every way. I was also inspired by the books of Richard Bach, in particular Gift of Wings and Illusions: The Adventures of a Reluctant Messiah . There was a new world to explore but I didn’t have to cross the globe to find a rain forest. All I had to do was to go up, not across. 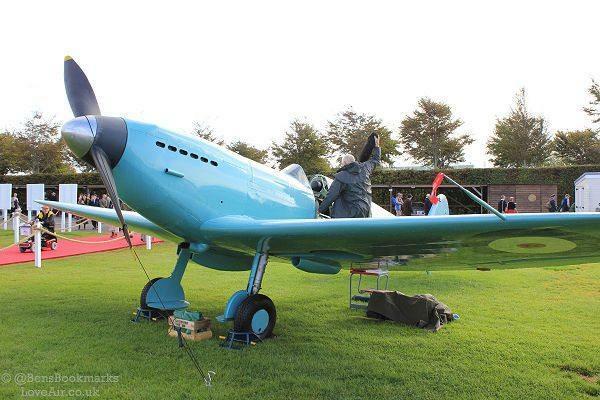 I lived within a few miles of Southampton (Eastleigh) Airport, birthplace of the Spitfire. The airfield has been in use for over 100 years. The first aircraft took off from this airfield in 1910. 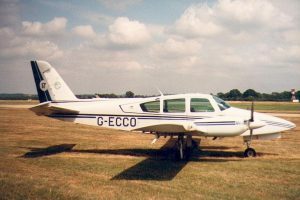 At the time, in the mid 1980s, it was still a mix of GA (General Aviation) and commercial flights to the the Channel Islands and elsewhere. 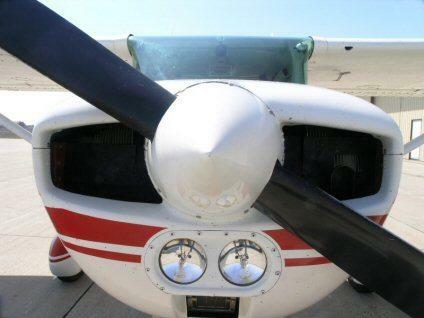 I chose a flying school called Flight Preparation. They had a small fleet of Grumman AA5A Cheetahs and some office space on the first floor of the old terminal building. They also rented offices a few miles away in Chandlers Ford where they provided evening ground school classes. 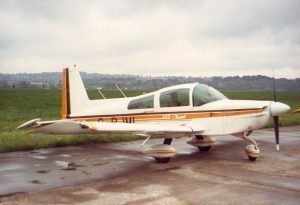 My first lesson was on the 3rd November 1984 in a Cheetah with the registration G-NASH. 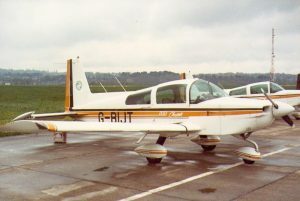 Being a bit of a slow learner and with weather and other delays, it was to be seven months and a total of 17 hours and 35 minutes of dual instruction before I was ready for my first solo on 4th July 1985. They say no pilot ever forgets their first solo, and they are right. I can still feel the anticipation after another round of circuit bashing in G-BFTE. As a student you know that the day is imminent but you’re never quite sure when the instructor is going to ask you to fly that first solo. After several take-offs and landings in during which my instructor criticised my abilities to the point where I was ready to complain we taxied onto the apron. Are we going to park, return to the terminal building, and discuss my obvious inability to control an aircraft? Or is today the day? As we came to a halt my instructor said, “Right. Do that again, just the once. I’m going for a cup of tea.” Before I could issue any kind of protest he was out of the aircraft and walking away without looking back. Of course, tea was the last thing on his mind. He would have probably watched as I made my radio call and taxied back to the holding point. Perhaps he watched as I made every turn and kept his finger crossed for a half decent landing with no bounces, wheel-barrowing or worse. Once the tower had given permission I moved out onto the centre line of that big concrete runway. I glanced once again at the Ts and Ps (Temperatures and Pressures). They were all in the green. Full throttle, gently, and off we go. I made my downwind call and turn onto base leg. Moments later I was on final approach and the view out of the cockpit looked about right. I made my last radio call of the circuit and concentrated, hearing my instructor’s voice in my head as I looked at the end of the runway and my position relative to it. A gentle flare, a little more, and the main wheels were down. I held the nose up as the speed decreased and let it too drop onto the runway. Not a perfect landing but I was down safely. The elation I felt as I walked across that apron to the terminal is still vivid 30 years later. It was as if I had crossed into another world, from the land where people don’t fly, to the land of pilots. I felt ten feet tall and couldn’t stop smiling. Four days later I celebrated my first solo with the first of two 20 minute rides in a Pitts Special S2-A in which I experienced open cockpit aerobatics for the first time. The contrast between the enclosed, gentle flying of the Cheetah with the power and maneouverability of the Pitts could not have been greater. I can still remember the sensation of being at the top of loop as my backside left the seat and I realised why the instructor had made sure my shoulder straps were so tight. 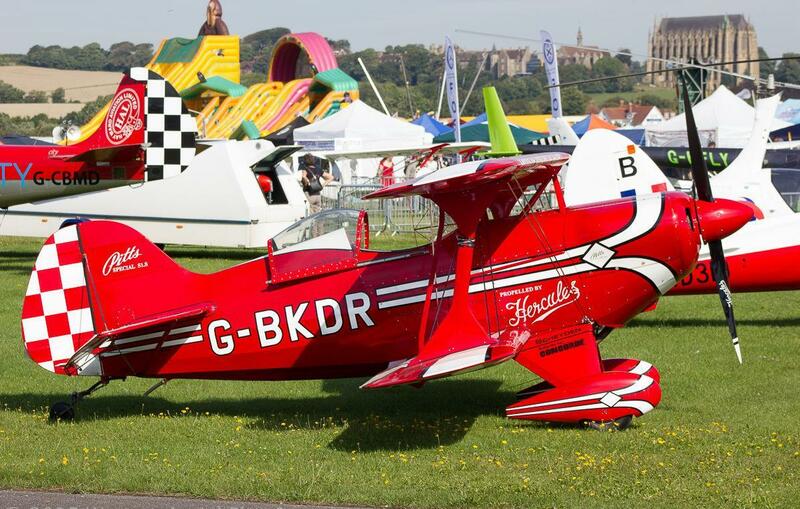 After several loops, flick-rolls and stall turns I was left in no doubt as to the unbridled joy of aerobatics. 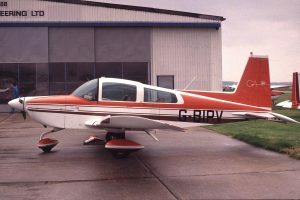 Between the summer of 1985 and the autumn of 1986 another 14 hours of dual instruction and 8 hours of solo flight was logged before I passed what was then called the General Flight Test (now called the Skills Test). 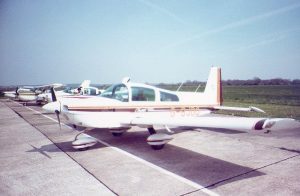 The solo time included a Qualifying Cross Country (QCC) flight from Southampton to Exeter, Exeter to Bournemouth, and Bournemouth to Southampton. Approaching Exeter I still vividly remember looking down and seeing the VOR at Ottery St Mary. My navigation was spot on! However, despite completing the QCC and the GFT something went awry. I was out of work again and both the flight school and I didn’t pull all the various components together and submit an application to the CAA for the licence. Nearly two years later, in May 1988, the funds were available to complete the goal. 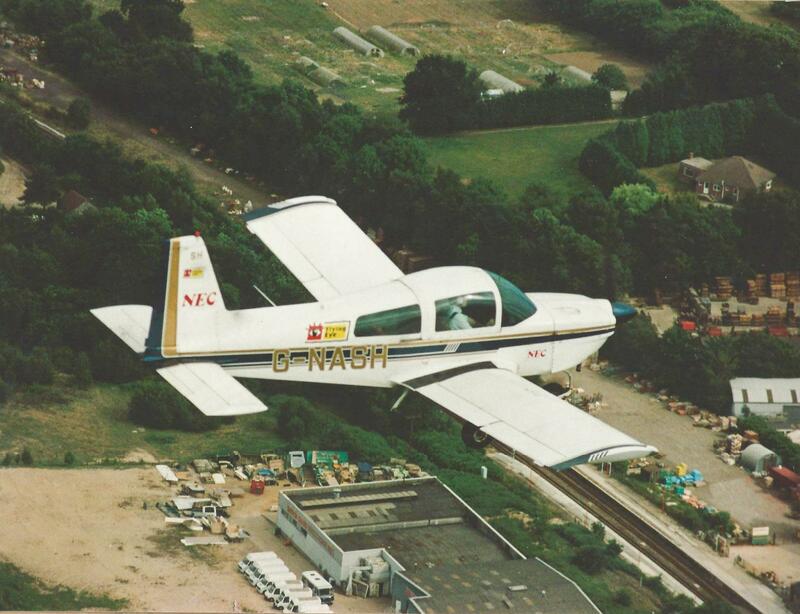 This time I choose a school based at Blackbushe airfield in the north of Hampshire. I am not certain but I think Flight Preparation in Southampton had gone out of business by then. Due to the lack of continuity in my training and changes to the PPL syllabus I had to go through several hours of dual training before I was ready to go solo again. Then, after a few hour of solo navigation exercises I was given an NFT (Navigational Flight Test), which I failed! 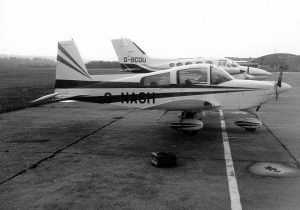 The flying funds ran out again and my training at Blackbushe came to an end in February 1989. 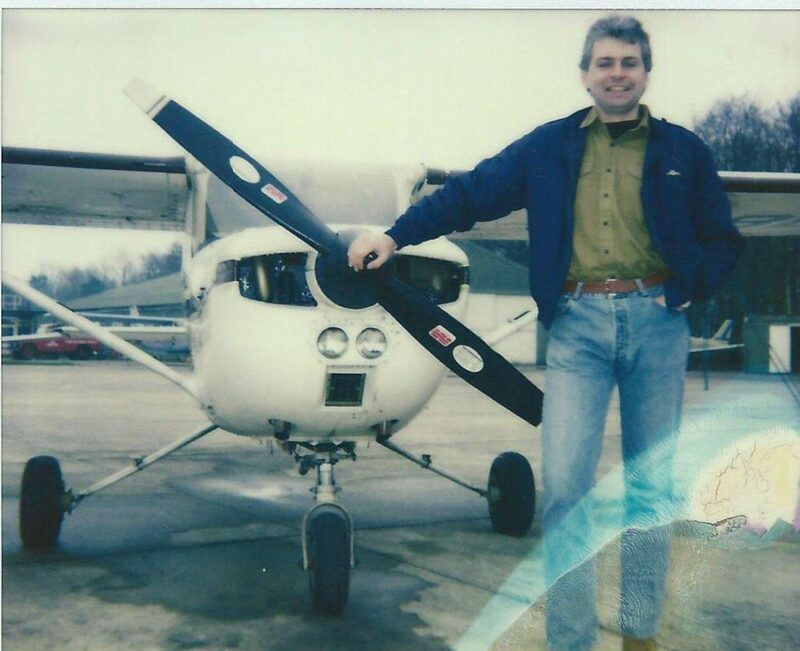 It wasn’t until September 1991 that I could afford to fly again. Completed at last! Only took me seven years. 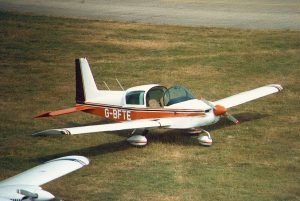 On 6th September 1991 I began a series of lessons at Compton Abbas airfield, this time in Cessna 150s. Once again, revision was necessary before I was ready to solo, but the training went well and I passed the NFT on the 13th September. 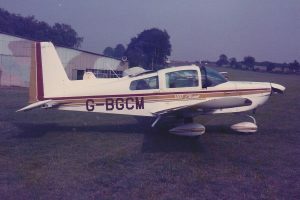 A week later I completed the Qualifying Cross Country to a satisfactory standard by flying from Compton to Sandown (Isle of Wight), Sandown to Exeter, and back to Compton. After another 50 minutes of preparation after the QCC I passed the GFT on the 20th October 1991. I had done it, and this time there would be no foul-ups with the paperwork. All the forms were filled in and sent to the CAA and my licence arrived a few weeks later. It had taken me seven years, but I got there in the end. I was the proud owner of a Private Pilots Licence at last. With thanks to Ian Haskell for the photos. 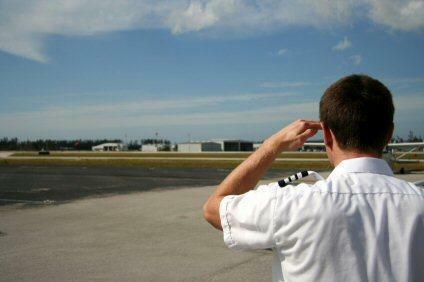 Ian worked at the airport as an Air Traffic Controller and learned to fly there too. All these aircraft are Grumman American AA-5A Cheetahs apart from G-ECCO which is a Grumman American GA-7 Cougar.